Yeahhhh…. I finished the 30 Day “Vamp Up Your Visibility” Video Challenge completing more than 30 Videos in the past month. I started on March 1st and today is the last day of this challenge. It has been an incredible transformative experience that I like to share about in the next blog article. 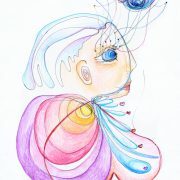 For the last video of this series I decided to create a channeled drawing to receive a message/guidance for all my fellow creative spirits who entered this challenge lead by the wonderful Michelle White Hart and everyone watching my videos of course and all who perhaps have the same longing to be seen and heard in a new way to expand their awareness, their self-love, their business etc. 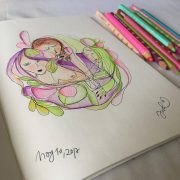 So here in this video you can witness the creative process how I received the Channeled Drawing. 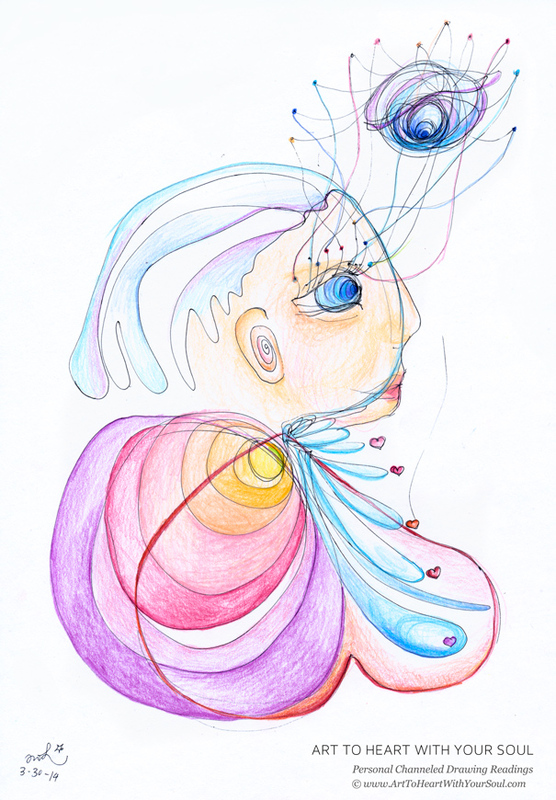 And below you’ll find the image of the drawing that you are welcome to safe to your computer as an inspiration and reminder of the channeled messages that you receive from this. 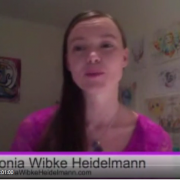 You will also find another video below where I give a Reading of the drawing in the way my intuitive guidance was talking to me. Of course this is an individual reading… and I encourage you to look at the drawing and communicate with it yourself to receive the messages that are meant for you as you see what you need to see and that might be different from what I see. Feel free to share your insights, comments and questions below in the comments. I’d be happy to receive/answer them. 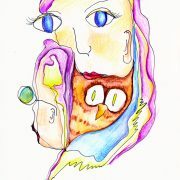 Love to receive a your very own individual personal Channeled Drawing Reading? Check out my offers when you click here!Yeahhhh…. I finished the 30 Day “Vamp Up Your Visibility” Video Challenge completing more than 30 Videos in the past month. I started on March 1st and today is the last day of this challenge. It has been an incredible transformative experience that I like to share about in the next blog article. 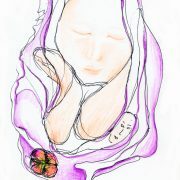 Antonia … this is absolutely stunning … gifting us wtih witnessing the birthing of a true piece of heart art was a powerfull experience. 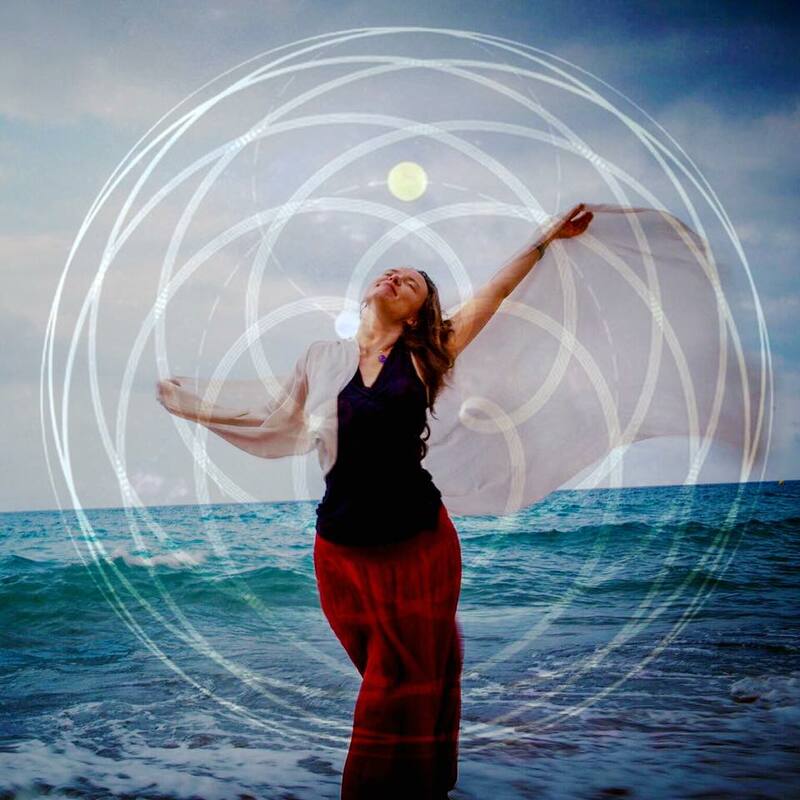 Allowing us to see the image, connecting with it intuitively and fully receiving it before you shared the ‘translation’ that flowed through you was also wonderfull! I use the term ‘heartspace’ as well and what you’ve shared here is so resonant … I do hope you will continue sharing the process as well as the translation in video! I am a loyal ‘fan’ and admirer of your work and approach … I do hope to see more and more of it! Thank you dearest Asha for your reflection. I receive it wholeheartedly ;) I am also a fan of your work. So happy we are connecting. I have to show you a channeled drawing I did in the past days… it so reminds me of you after I saw your videos and visited your wonderful website. 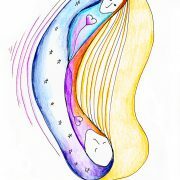 Yes, there will be more of my Channeled Drawing Guidance process & readings videos. 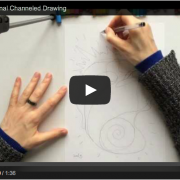 About a year ago I started the weekly channeled drawing video series… which you can find under the Channeled Drawings Tab. There will be free monthly readings from now on. Love you to receive them. You can come back here on the full moon or get my newsletters if you don’t want to miss them. Much love!! !